CCB representatives, including COO Justin Clark and Neil Callaghan, will be on hand during launch events in Nashville scheduled for January 16-20. Cigar City views these events as "incredible opportunities for Tennessee’s craft beer fans to enjoy some of the first CCB beer to be shipped to the state and to learn about Cigar City Brewing’s brand and its award winning beer from the people who know it best." Comstock Park, MI and Tampa, FL: Perrin Brewing Company and Cigar City Brewing today announced that the Tampa brewery's popular "Jai Alai" IPA will be served for the first time in Michigan. Cigar City's Brewmaster Wayne Wambles travelled to Perrin's Comstock Park facility in January to brew the famed IPA with John Stewart, Perrin's Director of Brewing Operations. The first - and only - Michigan-brewed batch of the IPA will be released on draft January 28 at Perrin's Ice Jam Winter Festival, as well as in Perrin's onsite pub. Thereafter, the limited 30-barrel batch will only be available at the Perrin Pub. This marks the first time that Cigar City has served its beer in Michigan. According to a Cigar City press release and a news story on the Perrin website, Wambles "meticulously recreated Tampa’s mineral-rich water profile using Perrin's reverse-osmosis water system," and "sent lot-specific hops from Cigar City Brewing’s Tampa facility to Perrin to match every facet of his citrus-forward ale." Following the brew, Wambles noted that he "feel[s] really good about the results." Further, "[a]fter seeing the pH of the mash and kettle and the color post-boil, I think we hit this brew out of the park. Beer lovers in Michigan will be able to enjoy Jai Alai as fresh as they would if they were in Tampa. John and his team are superbly talented brewers and I’ve been excited to work alongside them.” The breweries cited "partnership, innovation and collaboration" in describing the creative project. Perrin Brewing, established in 2012, announced in March 2015 that it had been acquired by Oskar Blues/Fireman Capital Partners. The two breweries had collaborated in 2014, releasing "Cornlaboration," a corn lager. The Oskar Blues group subsequently acquired Cigar City Brewing in 2016. Through the Oskar Blues-Perrin-Cigar City ownership venture, Perrin expected to brew over 26,000 barrels of beer in 2016, representing a 70% increase over 2015 production levels. Cigar City produced over 65,000 barrels in 2016. The partnership with Colorado-based Oskar Blues signals continued growth and new market reach. 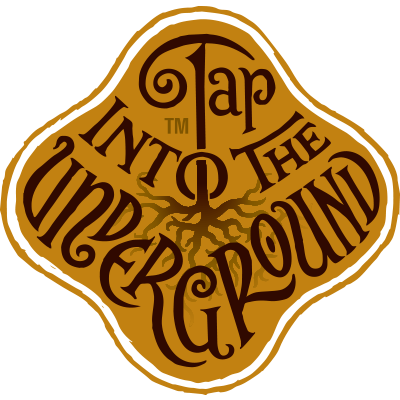 Chicago, IL: Look for beers from Forbidden Root Brewery, Chicago's first botanic brewery, to sprout up around Florida in mid-January. In November 2016, Forbidden Root announced that it had partnered with Cavalier Distributing to bring the brewery's nature-inspired beers to the Sunshine State in 2017, following initial distribution of the beers in Illinois and Ohio in late 2016. According to Carolyn Graham, North Florida District Sales Manager for Cavalier, Forbidden Root will introduce its beers through a tour of the state, with the "East Coast" tour starting on Monday, January 9, in Miami. Forbidden Root Sales Manager Lincoln Anderson will meet with the area distributing teams prior to launch events where the public can sample the botanic beers. 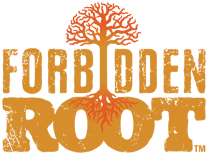 Forbidden Root will hold tastings in Palm Beach/Broward on January 10, then move through Orlando on January 11, before visiting Jacksonville on Thursday, January 12. For those in the Jacksonville market, the brews will be available at Coastal Wine Market & Tasting Room at the Nocatee Town Center in Ponte Vedra, beginning at 6pm on January 12. Forbidden Root, which opened its brewery and restaurant in Chicago in February 2016, is unique in several ways. As a "Benefit Corporation," it donates 100% of profits from its non-consumable merchandise to charity. The current beneficiary is Chicago's Green City Market. In addition, the brewery dedicates one of its on-site taps as the "Love Handle," which features a beer from a partner brewery, through which $2 from each glass of beer sold is donated to a charitable cause selected by both breweries. 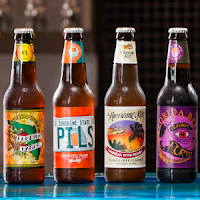 The "Love Handle" partner breweries have included Smuttynose Brewing, Three Floyds Brewing, Right Bee Cider, Firestone Walker Brewing, and Half Acre Brewery. The brewery's core beers include fresh botanicals, resulting in creative flavors which complement the four main ingredients of beer. Sublime Ginger, a creamy wheat beer with botanicals and lime juice (3.8 ABV), is a "refreshing breeze Key West Style." Money on My Rind, is a "laid-back" Witbier with juniper berries, grapefruit and grains of paradise (5 ABV). The WPA (Wildflower Pale Ale; 5.6 ABV) is inspired by the Works Progress Administration of the 1930's (you history buffs will recognize that), and features marigold, elderflower and sweet osmanthus flowers. Forbidden Root's beer lineup also includes a Belgian Dubbel, an Old Ale with cherry stems and almonds, and a chocolate stout. Forbidden Root's namesake beverage, a hard root beer, was the inspiration for the brewery, as its founder, Robert Finkel, set out to create a "true-brewed root beer." The idea morphed into brewing beers with botanical ingredients. As the brewery likes to point out, "we didn't invent botanic beer, we simply embraced it." Forbidden Root beers will be available on draft and at retail at locations across Florida. Welcome Forbidden Root to Florida! 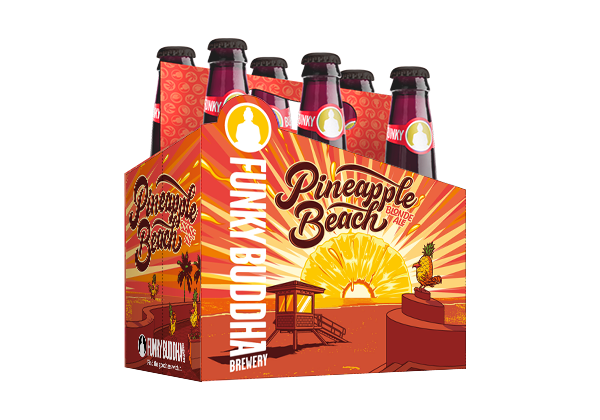 Oakland Park, FL: Funky Buddha Brewery has started off 2017 by announcing the addition of Pineapple Beach Blonde Ale as a new entrant into its-year-round lineup of flagship beers. Created to be an "ideal beach beer," it's a "refreshing blonde ale kissed with gnarly waves of juicy pineapple." The packaging artwork was inspired by Fort Lauderdale beaches. The beer will be featured during the upcoming "MBCP Draft Day" statewide tour, beginning January 26 (details about the Draft Day tour to follow). 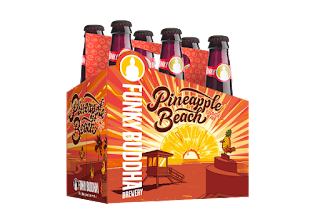 Distribution of the new Pineapple Beach Blonde Ale in six-pack bottles will begin statewide in Florida at the beginning of February. Story here. 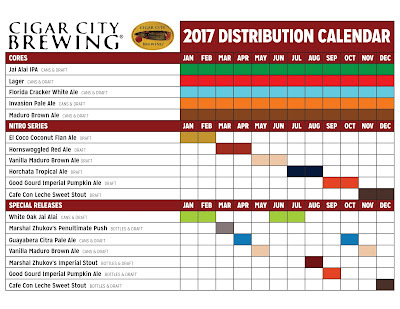 Tampa, FL: Cigar City Brewing has announced the line-up of its distribution portfolio for 2017. The list includes tried-and-true fan favorites, as well as several new offerings. The 2017 calendar kicks-off in January with the Nitro Series release of El Coco Coconut Flan Ale and a Special Series release of White Oak Jai Alai IPA. 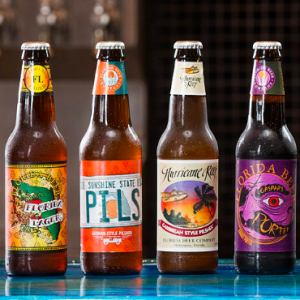 Cigar City beers are currently distributed in six states: Florida, Georgia, Alabama, Virginia, Pennsylvania, and New York. Additional territories are currently in the works, with a new state to be identified in early 2017. CCB also exports its beers to Denmark. Cigar City will host its annual Hunahpu's Day on Saturday, March 11, 2017, at Cotanchobee Fort Brooke Park in Tampa, from 11am - 4pm. Attendance is by advance ticket only consisting of three available options. All three ticketing tiers are currently on sale. 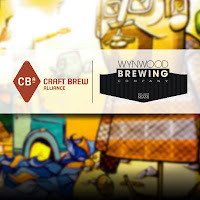 Miami, FL: Craft Brew Alliance and Wynwood Brewing announce a partnership in which the CBA will acquire a 24.5% stake in the Miami brewery, Brewbound reported today. The deal will allow Wynwood Brewing to maintain its "craft brewery" status, while setting the stage for further expansion. Read the story here. 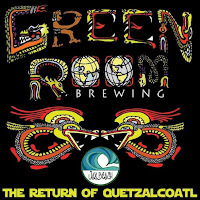 Jacksonville Beach, FL: Green Room Brewing is set to release the 2016 version of its Quetzalcoatl Imperial Mayan Red Ale, made with cassava root, poblano and serrano peppers and chocolate. Since 2012, each December, Green Room offers the unique beer on tap and through a limited bottle release in its tap room. The occasion calls for a day-long party, featuring special treatments of the red ale available on draft in the special events "brewery bar." This year, the event will also include newly-tapped Christmas beers. Bottles of the Quetzalcoatl ale - limited to 500 - will go on sale to the general public at noon on Saturday, December 17 only at the brewery. This past May, the brewers went one further, with a special limited edition of the ale aged in tequila barrels. That release party also included a separate brewery bar taplist featuring the Quetzalcoatl in Horchata, Java, Mango & Cocoa, Datil & Lime, and Lime Salt Brett treatments. If that bottle release is any indication, be forewarned: these bottles go fast. The May bottle release sold out in about an hour and a half. 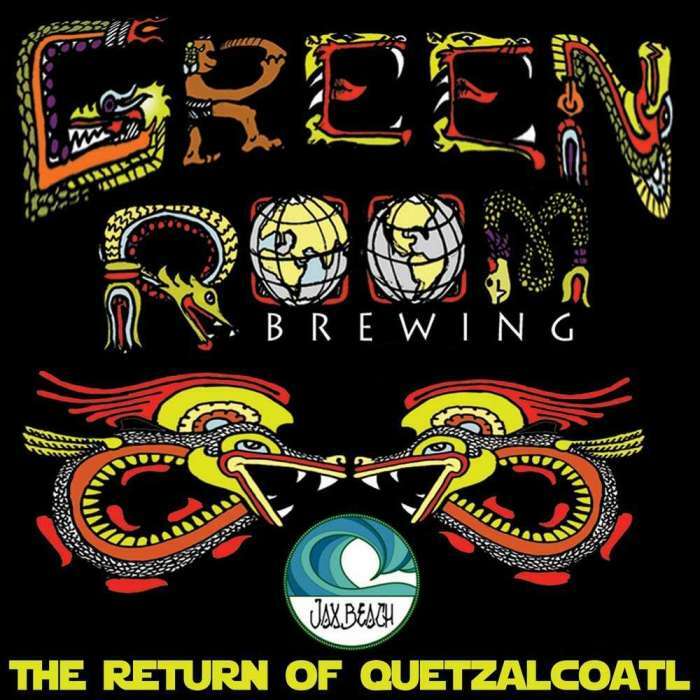 The ale is inspired by Quetzalcoatl, the Aztec god of wind and learning, which translates as "feathered serpent." [source: Wikipedia]. The Just Doggin It food truck will be at the brewery, and Firewater Tent Revival will provide live entertainment in the evening. Green Room Brewing, a surfing-themed brewery in the heart of Jax Beach, celebrated its fifth anniversary in June. Read the anniversary story here. Green Room Brewing is located at 228 - 3rd St. North in Jax Beach. (NOTE: This story also appears on the Jacksonville BUZZ site, at the "Beer Buzzed" tab under the "Nightlife" section on www.iwantabuzz.com. West Palm Beach, FL: The popular annual "Palm Beach Summer Beer Fest" in West Palm Beach in July is known for offering beerfest attendees a chance to sample over 150 different beers with a cool catch -- the fest takes place indoors, with A/C. No matter what elements Mother Nature decides to send South Florida's way, the beer flows in climate-controlled conditions. This past July marked the fourth annual Fest (see story here). 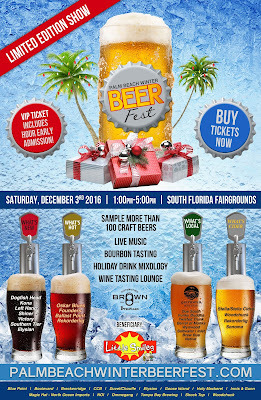 Because the fest has proven to be hit with the South Florida beer enthusiast crowd, fest organizers will offer a Winter Holiday edition of the beerfest on Saturday, December 3. 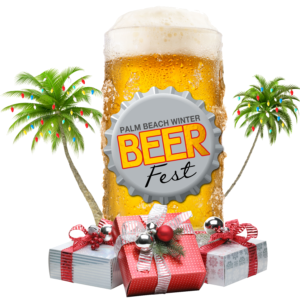 The first Palm Beach Winter Beer Fest will also take place in the Expo Center at the South Florida Fairgrounds in West Palm Beach from 1-5pm (general admission). A VIP ticket option allows one-hour early access at noon. The fest once again will benefit Little Smiles, a non-profit children's charity devoted to helping children affected by serious illnesses by offering fun activities and emotional support. County in a festive mood…with craft beer!" The Winter Beer Fest is also a Holiday Party. In addition to craft beer sampling by local, regional, and national breweries, this Fest includes bourbon and whiskey tastings. A Holiday Mixology Bar will serve up a variety of festive drinks, while also offering tips on making holiday concoctions for home holiday parties. Jennifer expresses the mood of the event as a "giant get-together to celebrate the holidays." Tickets can be purchased here. General admission tickets are $45 in advance, $55 at the door. Both admission options include commemorative tasting glass, unlimited craft beer sampling, and unlimited bourbon and whiskey tasting. VIP tickets are $75 in advance, $100 at the door, and in addition to the early entry at noon, features a food ticket, special timed releases, special limited release bottle of FOX Sports beer by local brewery Barrel of Monks Brewing. A Designated Driver admission is also available for $10, including unlimited water and soda. A variety of food trucks will be on site, and a music stage will feature live music throughout the afternoon. Combining a beerfest with spirts packaged in a festive, holiday vibe? That gives a new meaning to "getting in the holiday spirit!" LARGO, FL: Barley Mow Brewing Company, known for its black raven artwork, has announced a partnership with Out of the Pot Catering to open a craft kitchen in Largo. The new venture, "The Raven," will open with 18 taps of Barley Mow beers. The gastropub will feature "unique, seasonal and beer infused dishes, one-off chef inspired brews and craft cocktails," according to a press release issued by Barley Mow Brewing. "From Bulgogi tacos and Roasted Cauliflower Grilled Cheese to fried olives and handmade ice cream sandwiches, The Raven promises to tantalize one’s taste buds while being authentic to its local audience." A Grand Opening is planned for Friday, December 16. Barley Mow Brewing Company, which celebrated its four-year anniversary in July, operates a 30-barrel production brewhouse, in addition to its original two-barrel brewing system in its tavern. Barley Mow's beers, including the flagship Americana Golden Ale, Unkindness Black Ale, Maven Milk Stout, and Quackalope IPA are canned onsite in its 25,000-square-foot facility and distributed throughout Florida. Barley Mow Brewing Company is located in downtown Largo at 518 W. Bay Dr. The brewery tavern features 14 rotating taps and a beer engine, along with wine and a liquor bar. The Raven craft kitchen is located at 2535 E. Bay Dr., also in Largo, approximately two miles or six minutes away. "[the brewery's] beers are brewed simply, with hard work and thoughtful ingredients by honest people who are sincerely and wholly dedicated to their craft. Simple. Honest. Craft." 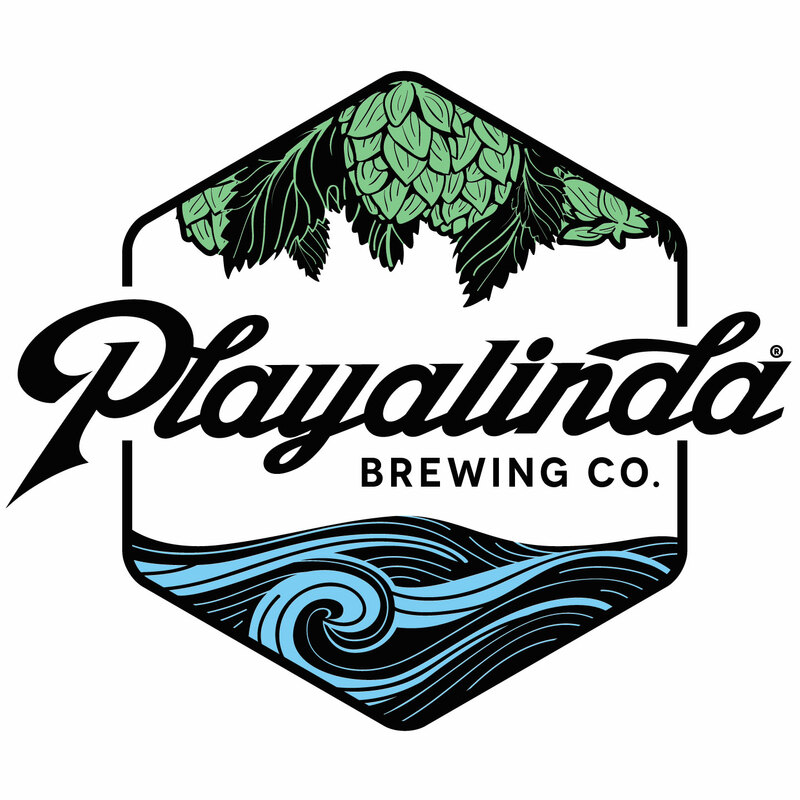 Titusville & Lakeland FL: Cavalier Distributing announces partnership with Playalinda Brewing Co. to distribute the Titusville-based company's beer throughout Florida. Launch events are scheduled for Orlando, Melbourne, Cocoa, and Jacksonville in mid-November through early December (Jax area events are listed on the "Tap This" Calendar page of brewnymph.com). 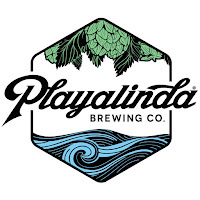 Playalinda Brewing will celebrate its two-year anniversary on November 12 at its original location (the "Hardware Store") in downtown Titusville. It also opened a large 30-barrel production facility known as the Brix Project in September. The news release from Cavalier Distributing appears here. This writer made her first visit to Playalinda Brewing within a few days of its opening in 2014. Lakeland FL: Cavalier Distributing announced that it has partnered with DuClaw Brewing Company, based in Baltimore MD, for distribution in Florida. Launch events are set to begin as early as this week around the state. DuClaw is best known for its "Sweet Baby Jesus" chocolate peanut butter porter, which was first brewed in 2011. The in-demand brew won a Bronze Medal at the Great American Beer Festival (GABF) in 2014 in the Chocolate Beer category. Read the Cavalier Distributing announcement here. Cavalier Distributing, based in Ohio, also distributes craft beer and spirits in Indiana and Florida. DuClaw beer will be available on tap and at retail starting next week. 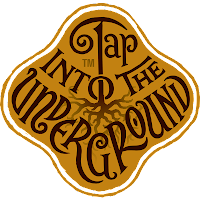 Official launch events and brewery spotlights around Jacksonville will follow during the first week of November and are listed on the "Tap This" page of this website. 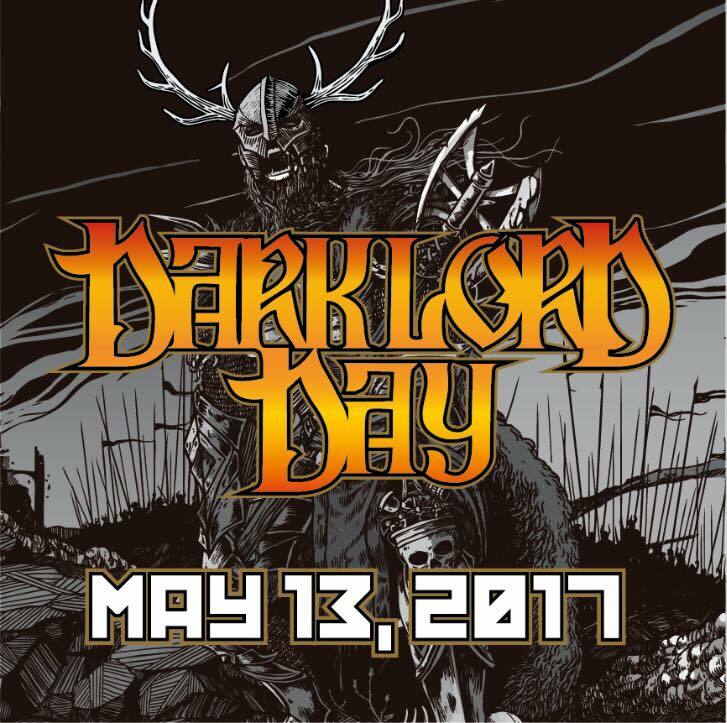 Munster IN: Three Floyds Brewing announces May 13, 2017 as the next Dark Lord Day. 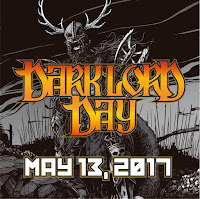 The famed Dark Lord is a Russian Imperial Stout with coffee, Mexican vanilla, and Indian sugar, released once a year at an iconic festival on the grounds of Three Floyds Brewing in Munster, Indiana. Stay tuned for more info. 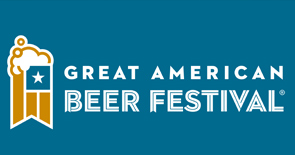 Denver CO: The Great American Beer Festival concludes tonight, October 8, at the Colorado Convention Center in downtown Denver (see home page story). Earlier today, winners of the beer style competition were announced, and two Florida breweries earned medals. Coppertail Brewing, located in Ybor City, Tampa, earned a Silver Medal in the Field Beer category for its Slam Piece, a Berliner Weisse. Coppertail, founded in 2014, is a large-scale production brewery with a spacious tap room. 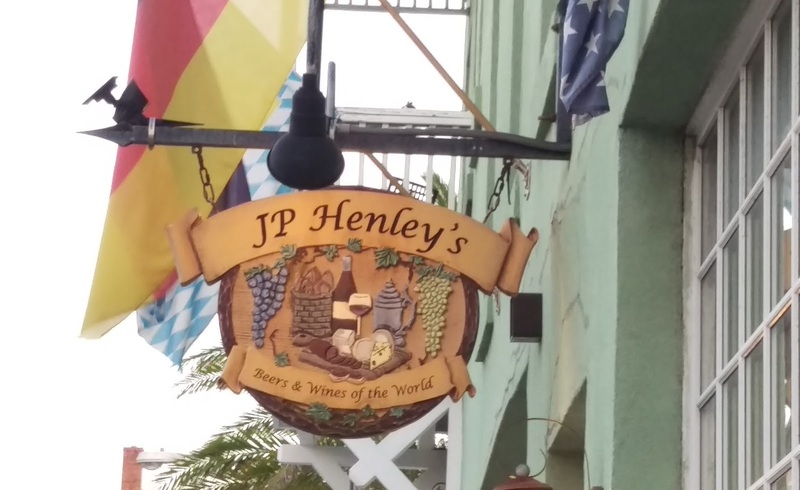 In this writer's opinion, the brewery is one not to miss when in the Tampa area. Red Cypress Brewery, of Winter Springs, in the Orlando area, was the second Florida brewery to bring back a medal, also a Silver, for its Deep Roots Amber, in the German Altbier category. Although I have not visited Red Cypress Brewery yet, I have tasted a number of its beers including its medal winner, and the beers have been impressive. Red Cypress Brewery will celebrate its one-year anniversary on November 5. Great American Beer Festival awarded 286 medals for beer styles, best breweries and brewpubs, and distributors. Founded in 1982, this year's event was the 30th festival, featuring over 800 breweries and more than 3800 beers for attendees to sample. The American IPA category was once again the largest category, with 312 entries. Congratulations to all of the medal winners, especially Coppertail and Red Cypress in Florida! 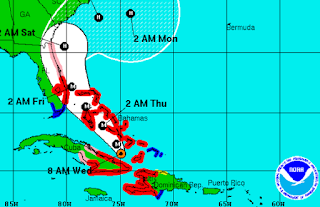 Jacksonville, FL & Melbourne FL: Jacksonville Zoo has rescheduled its Brew at the Zoo beerfest from Friday, October 7 to Friday, November 11, as Hurricane Matthew makes its way toward North Florida and is expected to pass dangerously close and/or make landfall in the Jacksonville metro area on October 7. All levels of tickets to the beerfest sold out in August. The beerfest, celebrating its 10th Anniversary, features over 130 vendors, including breweries and distributors, along with restaurants. The event is unique in that the ticketed entry also includes food samples. Ticketholders do not need to take any further action; tickets will be honored at the rescheduled November 11 fest. Another beerfest rescheduled due to Hurricane Matthew is the third annual Rocky Water Brew Fest, reset to Saturday, November 5 from the original date of Saturday, October 8, at the Eau Gallie Arts District in Melbourne. The Rocky Water Brew Fest is an all-Florida brewery fest, featuring approximately 30 Florida breweries, with the proceeds benefiting the charities served by the local Eau Gallie Rotary Club. Reliable sources informed me prior to the official announcement on October 5 that the city pulled the permits causing the cancellation of the October 8 date, which was subsequently confirmed. 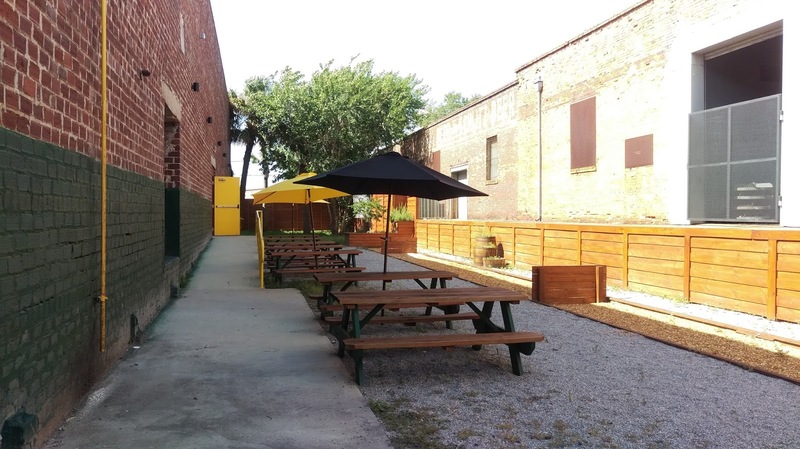 brewery issued a "teaser" that its new downtown Bier Garten (North Myrtle St.) will be ready to host its Oktoberfest family-friendly festivities on October 1, along with the annual Oktoberfest festivities at the Jax Beach brewpub. 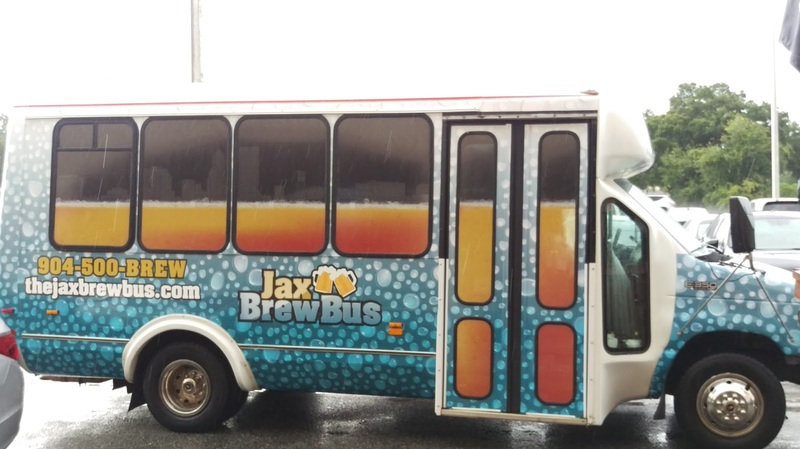 Take a free shuttle between the Beach and Downtown locations on October 1 on the Jax Brew Bus. 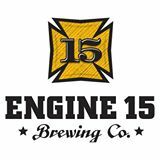 The Facebook post only offered this statement: "Who is in to drink Engine 15 Oktoberfest beer in our new downtown Biergarten Oct 1st?" 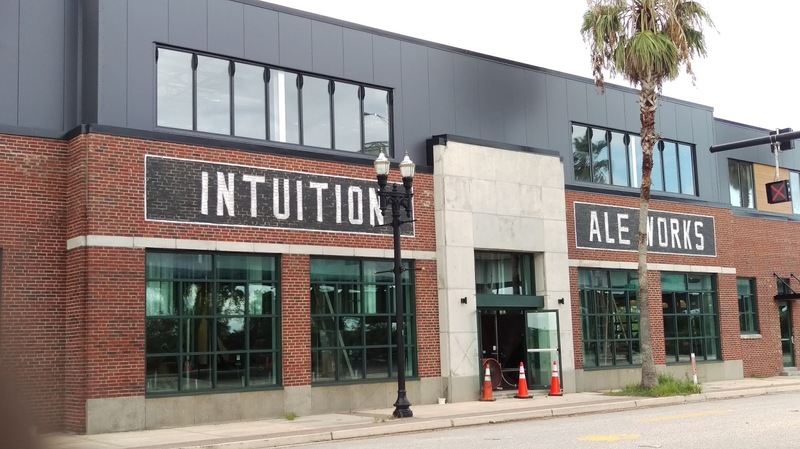 Jacksonville, FL: Intuition Ale Works' new location at 929 E. Bay St. in downtown Jacksonville opened to the public on Tuesday, Sept. 6. See the preview story on the homepage. From August 24, 2016: Intuition Ale Works announces September 6 as the opening day of its highly-anticipated new brewery, tap room, and rooftop beer garden on East Bay St. in downtown Jacksonville, adjacent to the Sports Complex. The current location on King St. in Riverside will close on Saturday, August 27. After a week of moving and settling in, the Bay St. location will open at 1pm on Tuesday, September 6. Intuition Ale Works has installed two grain silos at the exterior of the building, and the brewhouse has been expanded with a new 30-barrel system and new equipment for greater brewing capacity. In February 2012, Intuition was the first brewery in the state to start canning its beers on its current 10-barrel system. Starting Sept 6, hours are: 1-10pm, Mon-Fri, and 11am-10pm on weekends. Jacksonville, FL: Mark your calendars for the 4th Annual JAX BEER WEEK, September 17-24, 2016. The week will feature over 50 events all around Jacksonville's local breweries, brewpubs, restaurants, bars and bottle shops, including beer dinners, beer and food pairings, spotlights and special releases. 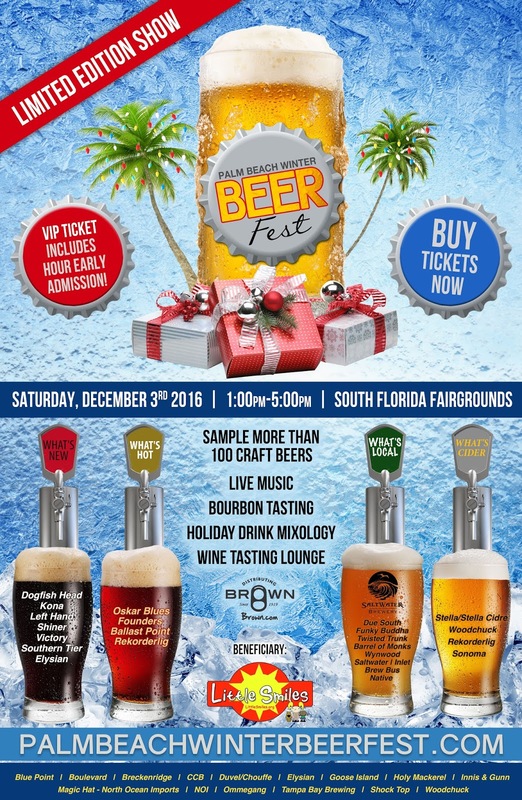 The festivities are sponsored and presented by the Jax Beer Society, a local trade association which promotes craft beer in the Northeast Florida and Jacksonville markets. All funds generated by the Jax Beer Society stay in the Jax area. Jax Beer Society is pleased to announce the continued second-year sponsorship of Visit Jacksonville's award-winning Jax Ale Trail beer tourism initiative. In addition, this year Jax Beer Week will coincide with Visit Jacksonville's Sip & Savor Restaurant Week. This year's Jax Beer Week will kick-off with founding member Intuition Ale Works' Oktoberfest celebration on Saturday, September 17, from 12-8pm, at its new downtown brewery location at 929 E. Bay St., adjacent to the Sports Complex. Currently, Intuition Ale Works' Bay Street facility is undergoing finishing touches as part of the construction of the new facility. Also on September 17, a special collaboration beer of the nine Jax breweries (Bold City Brewery, Intuition Ale Works, Aardwolf Brewing, Engine 15 Brewing, Green Room Brewing, Zeta Brewing, Veterans United Craft Brewery, Pinglehead Brewing, and Wicked Barley Brewing) will be tapped at numerous locations in the area. This year's collaboration beer is a kettle sour, which will be brewed during the third week of August at the Intuition Ale Works current brewhouse in the Riverside area of Jax. The Jax Beer Week will conclude on September 24, from 1-4pm (early VIP entry at 12pm) with the second rendition of the Mash-In all-local beerfest featuring the local breweries and vendors, held at Engine 15 Brewing Company's downtown production facility and special events venue, known as The Glass Factory, on N. Myrtle St. Tickets for the Mash-In event are available now through this link. Jax Beer Week is truly a collaborative effort among the local breweries and associated businesses to bring awareness of craft beer to the community. Jax Beer Week events will be posted on the Jax Beer Society website, published in local Jax weekly entertainment publication Folio Weekly's September 14 issue, and posted on the Tap This Calendar on this site. If you are interested in becoming an event sponsor, contact Jax Beer Society President Kara Scremin at jaxbeersociety@gmail.com. Celebrate Jax Beer Week with Jacksonville! Gainesville, FL: Swamp Head Brewery announces expanded retail distribution to North Florida and the markets of St. Augustine, Jacksonville. Cans of Wild Night Honey Cream Ale, Stump Knocker Pale Ale and Big Nose IPA will be available soon. Read the story HERE. Thank you Springfield Preservation and Revitalization (SPAR) for sharing the exciting news. We're continuing to work on a lease agreement for a property in Springfield and Petra Realty has been gracious enough to commit and move forward with us on rezoning the building. You'll want to stay engaged in the next couple of weeks for an official announcement. If you've been along for the ride so far, thank you, and we'll be looking for your continued support in the months ahead! Cape Canaveral, FL: Third-largest beer company in Florida, Indian River Beverage Corporation dba Florida Beer Company, is sold to ANSA McAL Group in Trinidad, maker of Carib and other beers. There had been speculation for some time. Story as reported by Brewbound. Oxford, OH: The U.S. OPEN BEER CHAMPIONSHIPS announced the winners in categories including top breweries, top beer names, and beer styles. The Grand National Champion honors went to Firestone Walker Brewing (California) by winning three gold medals, one silver and one bronze. Melvin Brewing (Wyoming) earned Second Place, and Tampa's Cigar City Brewing placed third. Tampa's Brew Bus Brewing claimed the 8th overall spot. In the Top Ten Most Creative Beer Names, Wynwood Brewing from Miami took the 8th spot for its Guava the Hutt. Gold, Silver and Bronze medals were awarded to individual breweries in 90 style categories. A full list of the winners appears in the link above. Many Florida breweries took home medals. Congratulations! Jacksonville, FL: What's "old" is new again: The all-new JAX BREW BUS made its debut at Engine 15 Brewing Company's 6th Anniversary and Bottle Release Party July 2 in Jacksonville Beach. Partner Mike Maulsby, who had an interest in the former Jax Brew Bus which operated local brewery and bar tours several years ago, acquired the same bus and prepared it for the new brewery tour business. Although operational, the new website is still being developed, and new brewery tour dates will be announced during July. 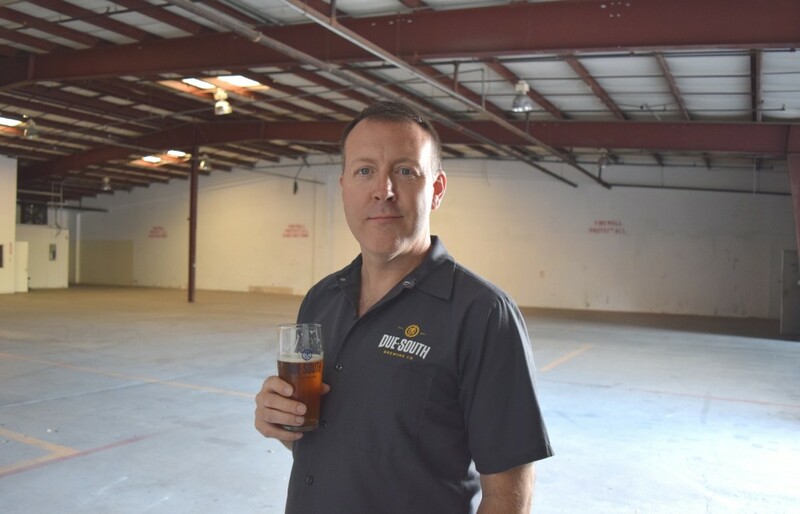 Mike, along with co-partner Chris Machatton, formed the new business venture following the departure of The Brew Bus (Tampa) from the Jacksonville area this past Spring. Guests will see some familiar faces as staff on the new Jax Brew Bus, including Mike, who will also be a tour guide in addition to handling the admin duties of the business. The new tours will focus on promoting the Jacksonville area breweries and the Jax beer scene by offering fun and educational tours to the local breweries. The format will feature sampling of beers at the breweries, with tour guides providing informational background about the breweries and the beers. The bus seats 14 passengers, along with a cooler for storing beer. Guests are encouraged to purchase growlers or package beer from the local breweries and enjoy them while riding the bus! 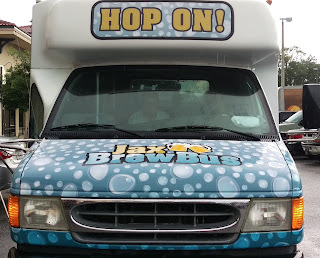 Visit the Jax Brew Bus website at the link above to book your tours, now taking reservations for Saturday afternoons. 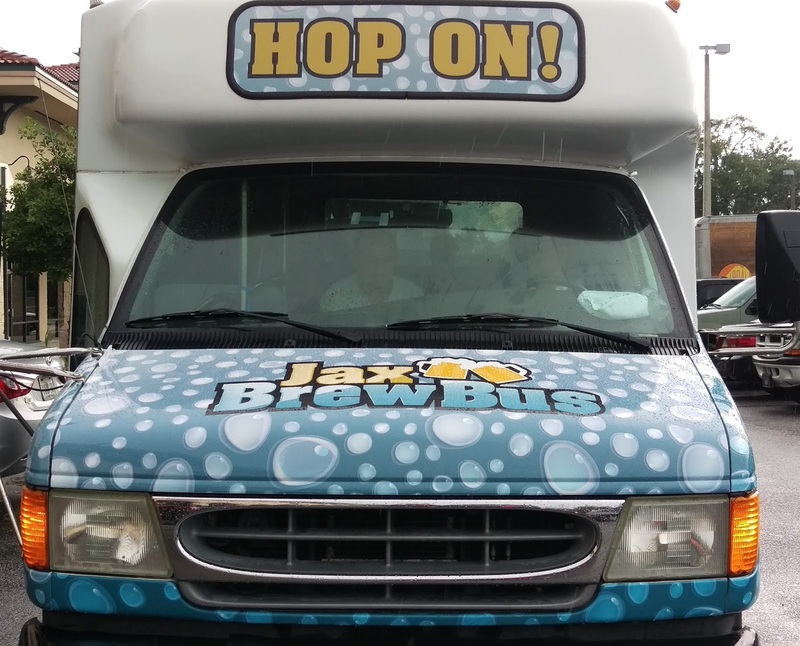 Welcome (back) Jax Brew Bus! Get ready to hop on it! It is with heavy hearts that we announce that our beloved pub is closed as of today. The outpouring of love and support we have experienced this week has been overwhelming. The memories made here we will cherish forever. Thank you all for making this bar a truly special place. Vero Beach FL: WALKING TREE BREWERY, Vero Beach, announces its opening for June 23, 2016, 3pm. A Grand Opening Celebration is scheduled for July 16, 2-8pm, with music, food trucks, and, of course, beer! This brewery is opening with a large-scale 20-barrel brewhouse. Read the news story HERE. Jacksonville FL: Wicked Barley Brewing Company, the newest addition to the brewery lineup in Jacksonville, announced its Grand Opening for July 16, 2016, at 11am. The venue will be a brewpub, with a full food menu for lunch and dinner. While awaiting its federal brewer's license, the brewery will serve local and regional craft beer on its 20 taps. Take a look at my preview story HERE or on the Wicked Barley homepage. Welcome! Delray Beach FL: This just in, June 1, 2016: PETA recognizes Saltwater Brewery with a Compassionate Business Award for its initiative. This is an idea whose time has come; actually it's overdue. Saltwater Brewery has partnered with We Believe to create biodegradable and edible six-pack ring holders, to assist sea creatures, birds, and other wildlife and prevent them from ingesting harmful and deadly plastic rings. As a scuba diver and lover of beach and ocean, I appreciate this effort immensely. Wildlife can't always determine what's what, and everyone should be recyling plastics anyway - there's just no excuse other than laziness not to recycle. Check out the video HERE. Just another reason that I love Saltwater Brewery! If you don't know who Saltwater Brewery is, take a look at my STORY about the brewery anniversary, and get yourself to Delray Beach. And, they're now distributing all over Florida. Boulder CO: Join craft breweries across the country during American Craft Beer Week (ACBW), as the national collaboration beer is released. One recipe (an imperial porter), brewed by breweries across the country! 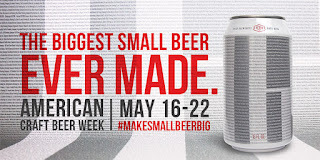 It's "The Biggest Small Beer Ever Made!" Read more HERE. Be sure to find it near you! I've had it, and it's a good one: American Oatmeal Porter. 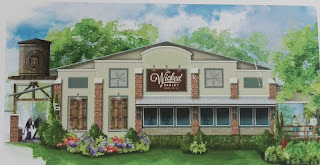 Jacksonville FL: When I got a behind the scenes look at the under-construction Wicked Barley Brewing in Jacksonville a couple of weeks ago, co-founder Philip Maple told me the brewery would be adding a well-known and high profile brewer to the crew, but he couldn't disclose the identity at that time. Now, we know who that is. Lead brewer from Cigar City Brewing signs on to join Wicked Barley. Read it HERE. Boulder CO: Brewers Association releases new 2016 Style Guidelines, adding a number of styles. Story HERE. This comes after the 2015 overhaul of the BJCP Style Guidelines. 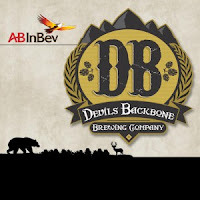 New York / Virginia: AB InBev announces today that Devils Backbone Brewing, based in Virginia, will join AB's "High End" Portfolio, following acquisition. See first report and press release HERE. Orlando: After various rumors and inklings on social media two days ago, a report apparently confirms that Brown Distributing Co. is selling off its craft portfolios in North and Central Florida. Read the story HERE. Employees have posted separately that they have been given 60-day employment notices. 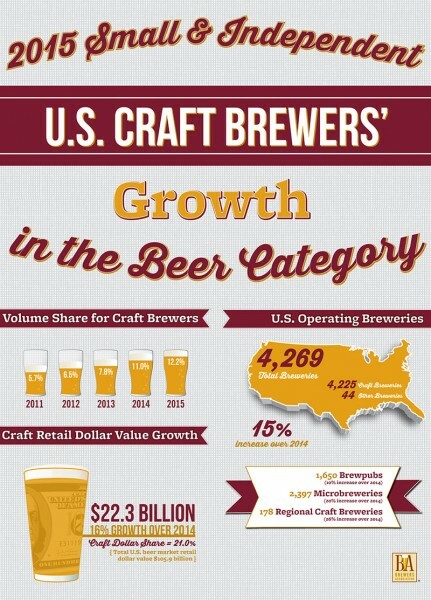 Boulder CO: Brewers Association released figures charting the growth of craft beer, citing Florida as one of the markets on the rise. Read it HERE. Tampa: Cigar City Brewing has reached a deal with Fireman Capital Partners/Oskar Blues Brewery in which the private equity firm is to obtain a controlling interest in the Tampa brewery. The development was reported by Brewbound.com today. Read the story HERE. There had been speculation over the last year or so that Cigar City would sell to AB-InBev, and while there were indeed talks to that effect, an agreement with AB was not reached, thus paving the way for the Cigar City to pursue other options. Tampa: On March 6 the Best Florida Beer Championships announced the medalists in the professional brewers competition. The placements were announced at the Brewers Ball, held at Water Works Park in Tampa. 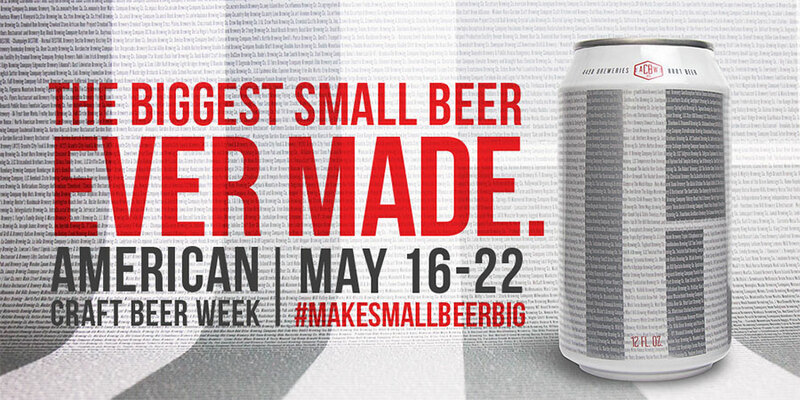 Click HERE for the list of the medalists, including the categories, beer styles and beer names. In addition, the BFBC also awarded trophies for "Best of Show" and other "Best" categories. Congrats to Fort Myers Brewing Company for being named "Best Brewery," and to Tampa Bay Brewing Company for its "Best Brewpub" top honor (Yes, I've been to both!). 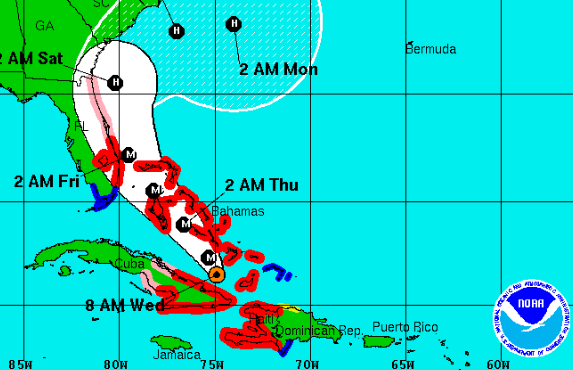 Big Storm Brewing notched the Best Beer in Florida award for its Oktoberfest (I can personally vouch for that!). 7Venth Sun Brewing earned trophies for Best Small Batch Brewery and Best Small Batch Beer for its Vultures from the Past (7Venth Sun is a cool little place in Dunedin, specializing in more unique styles, if you haven't been there). A list of the trophy winners can be found HERE. 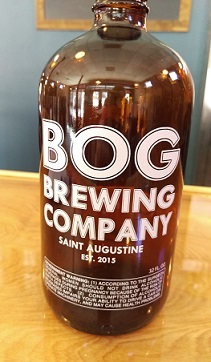 St. Augustine: New brewery Bog Brewing Company opens on West King St. I got the behind-the-scenes look before opening. Read it HERE. Boynton Beach: Some gigantic news out of South Florida: Due South Brewing Company announced that it is expanding its current facility. Not "just" an expansion, but increasing its footprint by almost twice the current size, to include a new tap room and beer garden. They're looking for a fall opening.